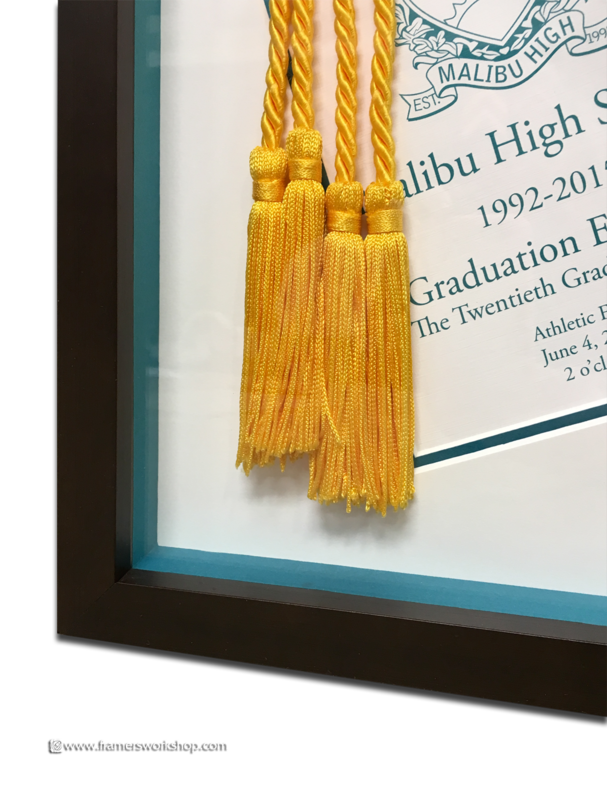 Framed Malibu High School Memoriabelia. 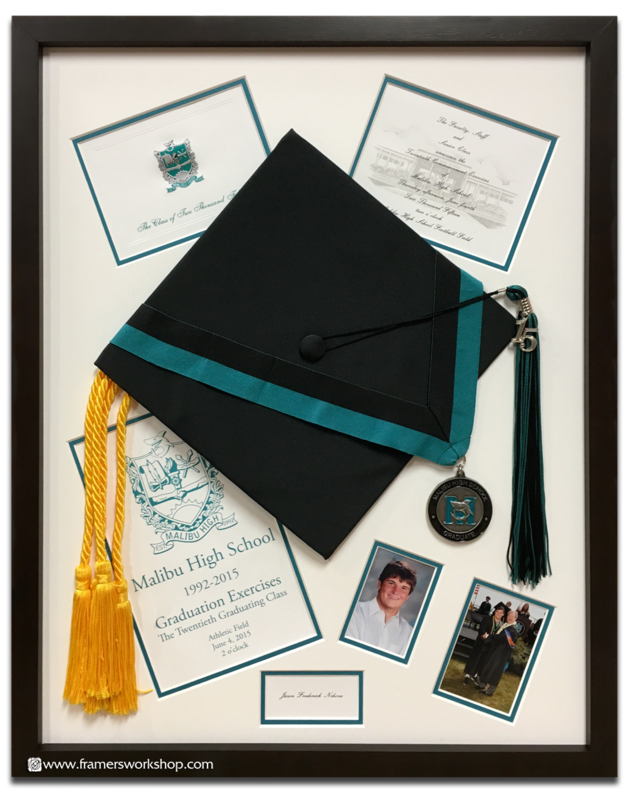 THe deep 'box' frame includes a variety of objects including the graduate's mortarboard and tassel. These three dimensional items are floated on a double matt with school colors with multiple openings. There are deep matt walls along the inside of the frame to support the UV filtering Tru-Vue glazing. See close-in detail below.